When Dave took apart the family TV at the tender age of 5 and couldn’t put it back together again, he knew he was in big, scary trouble. He earned a week of a timeouts, 5 days without dessert, and a life-long lesson: building something is more difficult than destroying something. This insatiable curiosity about how things work lead Dave to receiving a degree from Temple University in Engineering. Now, not only does he know how to reassemble his TV or computer, but he spends his days with entrepreneurs and business owners building profitable systems and companies. A practicing martial artist since the age of 13, Dave earned multiple black belts in 2 different styles. His disciplined training spills over to his consulting so that clients implement structured business practices that boost performance. Additionally, Dave kicks to the curb old-fashioned myths about financial reporting so those clients make better decisions. 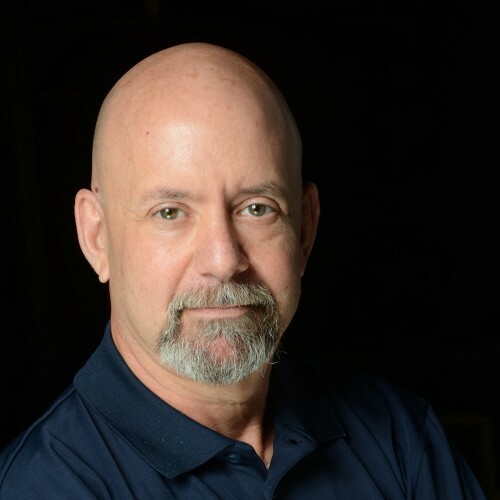 As a Naval Flight Officer flying F-14’s off the deck of the USS Independence, Dave learned the value of efficient and repeatable systems: how habit patterns and training allow for fast, accurate and good decisions. Today Dave trains businesses on systems that improve efficiency, reduce costs, and lift production. Leadership Systems that Boost Morale…and Profits! Dave’s biggest challenges as a Naval Officer didn’t come in the cockpit, but rather as a leader of personnel. Keeping morale up while at sea for 111 days in preparation for Desert Storm was no easy task. It was under these conditions where he grasped how the right words at the right time inspire and motivate people. With 70% of today’s workers disengaged from their jobs costing U.S. companies an estimated $500 billion, Dave shows business owners practical steps that improve morale and profits. Transitioning from mechanical systems to business systems occurred naturally. As Vice President of Operations for Communications Plus, Dave Rosenberg literally wrote the book on Operations. He standardized everyday tasks from answering the phone to what technicians said to clients to closing down for the day. His efforts lowered labor costs by a staggering 30%! When Dave was hired as Vice President for Priority Moving, his responsibilities were ill-defined. As the company grew, both quality and profitability started to slip. Taking over as President, Dave put into place a comprehensive customer service program. Results? Yelp ratings jumped from a rating of 4.0 (out of a 5-point scale) to a solid 4.65 average star rating in less than 1 year. Dave is a Certified Professional Behavioral and Driving Forces Analyst. He has consulted with over 60 companies in 16 states across the country. His clients represent a large cross-section of industries from manufacturing, retail, construction, engineering, farming, trucking communications and service. Dave was raised in Philadelphia and now resides in rural Ramona CA with his wife and their 2 dogs, Gunner and Chip, as well as their Sulcata Tortoise, Omar. Although he is no longer taking apart televisions, he is constantly taking his golf game apart. Unfortunately, he has no more luck putting it back together then he did with his family TV those many years ago. Find out more about Mr. Dave Rosenberg at http://lockedonleadership.com.